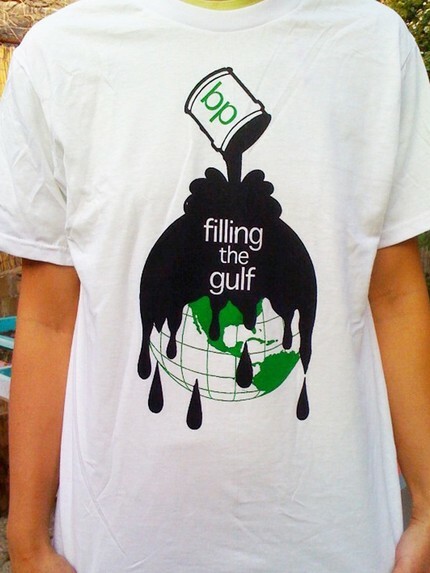 The devastation that the BP oil ‘spill’ is causing on the ecosystem of the Gulf of Mexico is tragic. Every day 5,000 barrels of oil are gushing into our waters with no end in sight. With your purchase of the Anti BeePee Tee, all proceeds will go directly to organizations that are spearheading the clean up efforts along the Gulf Coast. Weebeetees’ goal is to raise $10,000 in funds to help correct this massive disaster. With each sale we are closer to our goal of 1000 strong against BP; save a turtle, buy a shirt.